Home Easyboots Epic These Boots! What do you think of when you see something like this? 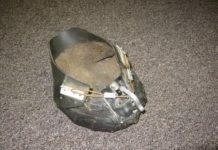 By direct explanation it’s an old worn out Easyboot Epic. 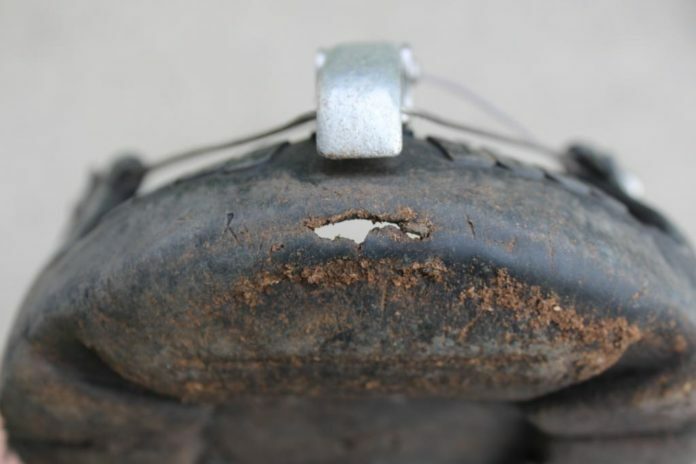 It has a hole in the toe, the gaiters have seen better days and we knocked a piece off the buckle system. What I think of when I see these boots is hundreds of miles (literally) in reliable gear on a great horse cultivating a relationship that can only be brought about by the positive quality time you’ve spent together. Looking at these old worn boots, I have an extreme sense of satisfaction. 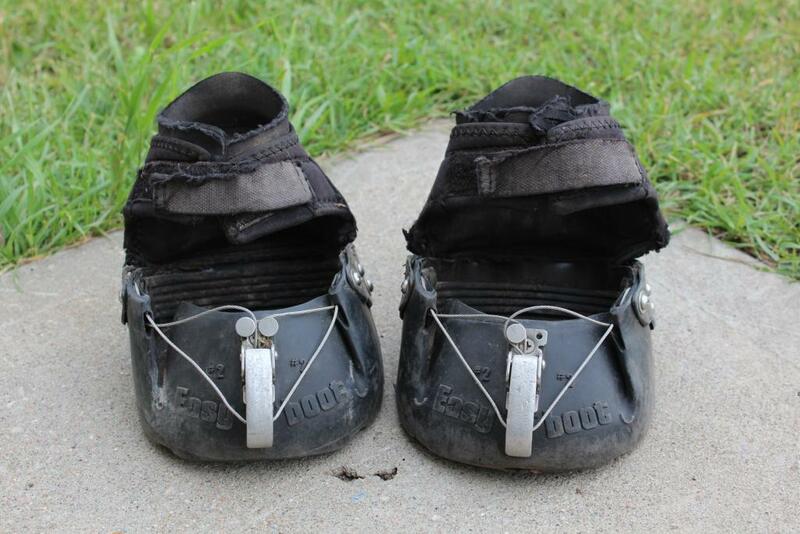 These boots belong to my gelding KC, you may have read about him before. 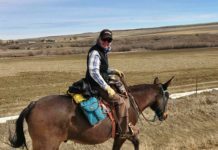 KC started life on a dude ranch, the perfect personality to be put straight into the guest horse line up shortly after saddle training. When he was about 7 we bought him to be my husband's horse but as it turned out my husband wasn't really ALL that interested in riding horses very often. KC found himself under utilized for a few years until my primary competitive trail horse became injured so I put him into training to be my fill in. 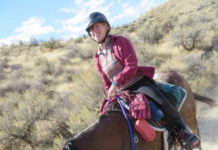 Turned out, KC was "competitive trail horse extraordinaire"! He now has over 200 LD miles to his credit and all our conditioning and many competitive miles have been done in the boots pictured above, our trusty Easyboot Epics. It's true, we wear parts out here and there but replacement parts are easily ordered from the EasyCare website and detailed instructions make installation of replacement parts a breeze. If you don't feel like you can do the work yourself, you can just send in your boot with the worn out parts to EasyCare and they'll fix them up and send them right back to you! But back to MY old worn Easyboot Epics. Those boots just got us through yet another 25 mile LD. 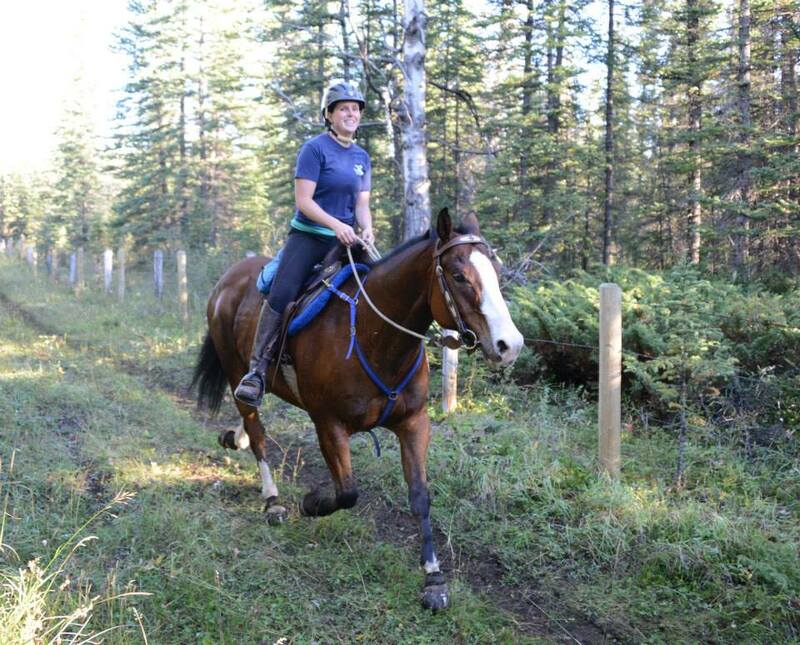 The Grandview Cabin ride was the weekend of July 4th near Red Deer Alberta. The terrain was incredibly varied. We rode up and down the grassy slopes of the foothills, along gravel roads and down through the riverbeds of the Red Deer River. KC moved confidently in his Epics over all the different types of footing, he knows he'll always be comfortable when he has his boots on. He finished his 25 miles in great condition and the vet was surprised we were done for the day and not riding the 50 – we were told he could have gone a LOT farther that day. Surely being comfortable underfoot plays a huge part in that compliment! 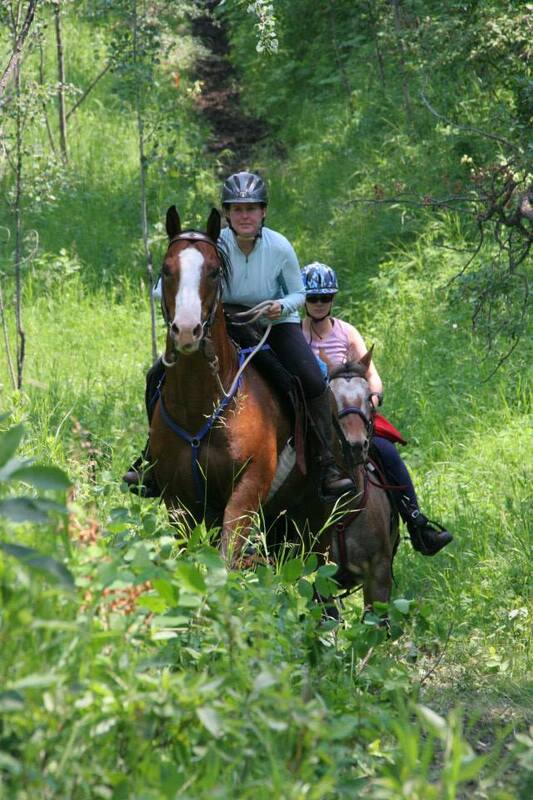 We have a few other rides planned for the season and it is a sure bet what you will find on this geldings feet. These boots are our "go to". These boots are the ones I trust. These boots are our "old reliables". These boots are much loved by this horse and rider team. Believe it or not, these boots have many more miles in them despite their worn appearance. These boots are built to last!